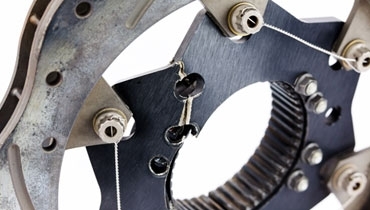 Stainless steel wire is often used as safety stainless steel lockwire to secure / lock in place critical bolts in engines, safety components of mechanical devices. Safety stainless steel lockwire thus finds applications in Automobiles & Motor cycles and in numerous Aeronautics/Aerospace assemblies. 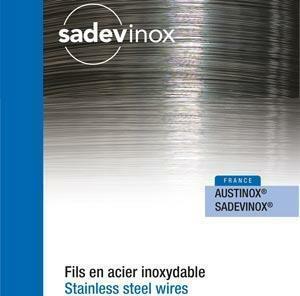 Main grades of stainless steel safety lockwire are 304, 304L, 316L, Monels. Stainless steel lockwire is often packaged in small plastic canisters with a convenient clip for attachment to the belt of workers. to secure critical bolts in engines,throttle assemblies, safety components, etc. This type of annealed wire is preferably offered in sizes 0.51 / 0.63 / 0.81 and 1.04 mm, in 450 g plastic canisters with a convenient clip for belt attachment. Our lock wire in canister is manufactured in the USA, with full qualification NASM20995 / ASTM A580 for use in Defense / Aeronautics & Aerospace applications.